WHEATON, Ill. -- Bond was set at $2 million Tuesday for a man charged with killing his ex-wife last week in her home in west suburban Wheaton. 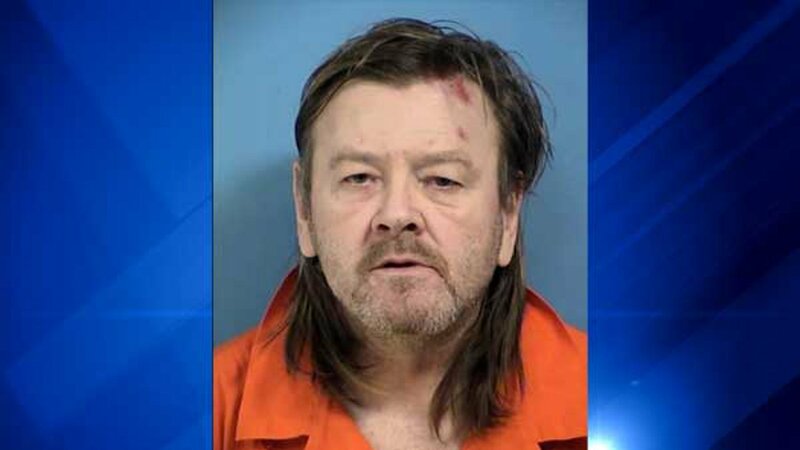 Lee Leinweber, 56, faces one count of first-degree murder, according to the DuPage County state's attorney's office. On Jan. 30, Leinweber was at his ex-wife's apartment in the 1300 block of Woodcutter Lane in Wheaton when an argument turned violent, prosecutors said. He attacked 56-year-old Erin C. Leinweber, beating her in the face and neck, then choking her until she fell to the floor, prosecutors said. Leinweber then dropped his body onto hers, breaking her ribs. Leinweber then forced a plastic garbage bag into her mouth and placed two garbage bags over her head, prosecutors said. He then got a knife from the kitchen and stabbed her repeatedly. After the murder, Leinweber stole his ex-wife's money, credit cards and car, then drove off, prosecutors said. Erin Leinweber's body was discovered about 6:45 p.m. Saturday, and Lee Leinweber was taken into custody Sunday in Ottawa. Prosecutors said he was homeless. "The sheer brutality alleged in this case is extremely disturbing," State's Attorney Robert Berlin said in a statement. "I offer my sincerest condolences to Erin's family and friends as they grieve their loss." Judge Richard Russo set Leinweber's bond at $2 million Tuesday, according to the state's attorney's office. He is next scheduled to appear in court Feb. 21. Investigators are still searching Tuesday morning for the victim's car a red 2009 Kia Spectra with Illinois license plate V264403, which may have a Hillary Clinton bumper sticker on the rear of the vehicle, police said. Anyone who sees the vehicle is asked to immediately call 911.